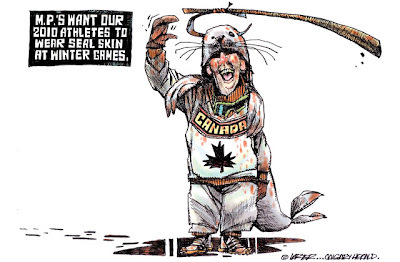 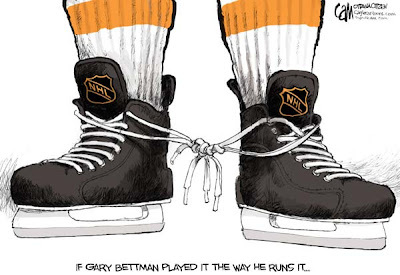 Canadian political cartoonists didn't lack inspiration this week. 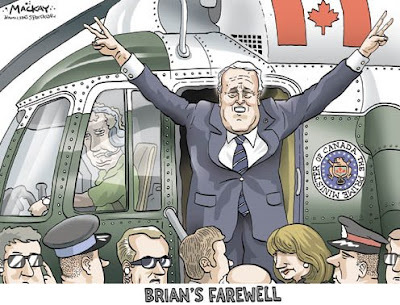 Former PM Brian Mulroney completed his testimony at the public inquiry into his buiness dealings with Karl-Heinz Schrieber. 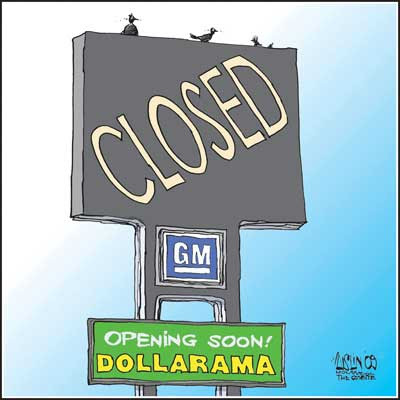 GM and Chrysler announced they were closing down hundreds of dealers as a cost-saving measure. 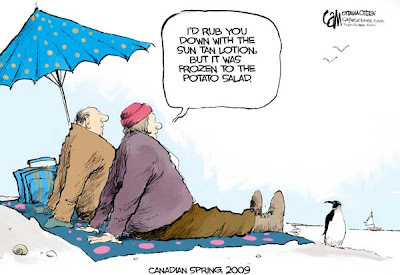 And then there's always something happening in those two staple areas of discussion for Canadians: sports and the weather.